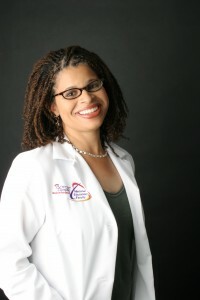 Our Mommy MD Guide’s reply: A major challenge for me my twins’ first year was sleep deprivation. When they’re little and you have two, and you still have to work and be “on your game,” it’s hard. To cope, my husband and I took sleep shifts. Rather than us both being up all night and miserable, one of us went to bed at 9 pm and slept until 2 am. The other slept on a couch in the nursery and tended to the babies when they woke up. Then we switched. At least that way, we were each guaranteed to get four to five hours of good sleep. It worked out beautifully. We both felt we could function on four to five hours of uninterrupted sleep. Our Mommy MD Guide’s reply: My most challenging time was during my second pregnancy while balancing work and taking care of my other child. It was an exhausting pregnancy. But you just do what you have to do. You summon the energy. The most important thing I learned is you can’t be afraid to ask for help. When our first daughter was born, my husband and I planned to care for her entirely on our own, doing everything ourselves. But we quickly learned that wasn’t going to work. After my baby was born, I hemorrhaged, and I went home severely anemic. I didn’t have the energy to care for my baby by myself. I needed someone else to watch the baby so that I could get some rest. As a physician, I know that sleep deprivation is a major risk factor for postpartum depression. I knew that the best way that I could help myself—and my baby—was to get as much rest as I could. So my husband and I asked for help from my parents and his parents, and we found a babysitter. We learned that we couldn’t be too proud to ask for help when we needed it.